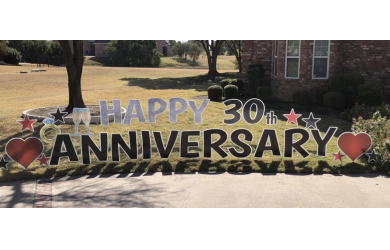 $35.00 for $70.00 - Personalized Yard Greeting from Sign Dreamers, a $70 Value for ONLY $35! 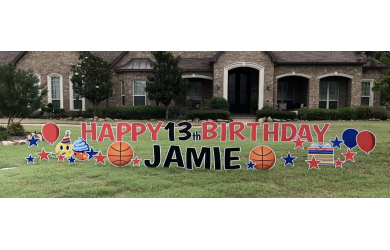 The personalized greeting includes: single phrase greeting available font colors, stars, balloons & 1-2 graphics. Our service includes: delivery, set up, & removal after 12-24 hours per request. A premier yard greeting rental service that specializes in bringing a smile no matter the occasion! Sign Dreamers is a business with a purpose. PICK YOUR DATE FOR THE OCCASION! We discreetly deliver the evening before or the day of your event, install & take down after the duration of your rental. We deliver weekdays & weekends, day or night! BOOK YOUR GREETING! 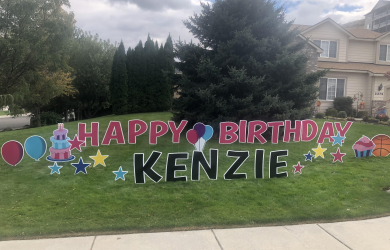 Visit our website, click “BOOK NOW”, and one of our Sign Dreamers will quickly work with you to design the perfect custom greeting. Once your order is verified, we will send you a Square invoice via email. LOVE YOUR EVENT! After you order, savor the extra special feelings of delighting your guest or making someone’s day! 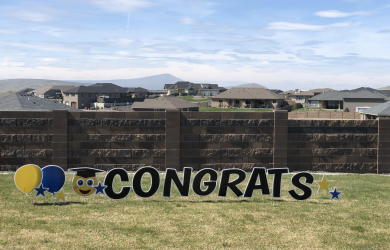 Make Your Occasion Extra Special with a Yard Greeting from Sign Dreamers! Limit ONE per person, plus ONE as a gift. Valid for up to 25 characters. Additional characters are subject to an additional cost. Promotional value good for 90 days after purchase. Paid amount does not expire. Limit ONE per person, plus ONE as a gift. Valid for up to 25 characters. Additional characters are subject to an additional cost. Not valid with other specials or offers. Promotional value good for 90 days after purchase. No cash value, full amount of voucher must be used. Paid amount does not expire.